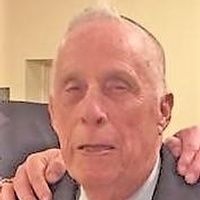 Don, age 83, of Whitmore Lake, formerly of Farmington Hills, passed away at 1:40 am Tuesday morning, September 25, 2018, at Acsension Providence Hospital, Novi. He battled health issues for only a few months. Don was born August 22, 1935, in Flint, MI, to the late Archie and Gladys (Bourassa) McKeever. He was preceded in death by his beloved wife of 48 years, Connie, on June 11, 2014. Don was extremely loyal and devoted to his family, faith, church and his Knights of Columbus Council - #4401 at Our Lady of Sorrows. Surviving are four children, Patrick (Kathy), Michael, and Bill McKeever, and Judy (Don) Smith; and three granddaughters, Christina and Alexandra Smith, and Anna O'Neil. The McKeevers will receive guests at the funeral home on Sunday, September 30th, from 2-8 pm. His Knights of Columbus brothers will lead the rosary at 7 pm. Don's funeral mass will be celebrated Monday morning, October 1st, at 10:00 am (in state at 9:30 am) at Our Lady of Sorrows Catholic Church, 23615 Power Rd., Farmington. Military funeral honors will be rendered upon the conclusion of mass. Concluding prayers at Farmington's Oakwood Cemetery will follow the luncheon. In lieu of customary remembrances, contributions are suggested to Mother & Unborn Baby Care, 24500 Southfield Road, Southfield, MI, 48075.